The Coppervape NarBa Style RDTA is constructed from 316 stainless steel with nice finish. 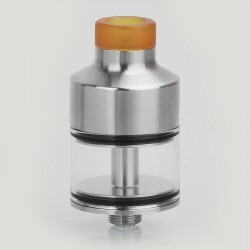 It is a 22mm diameter tank and can hold about 3ml e-juice. The deck features dual post design for single coil building only. The cap comes with single airslot for airflow control. It is leak-free and can bring you great joy of vaping.